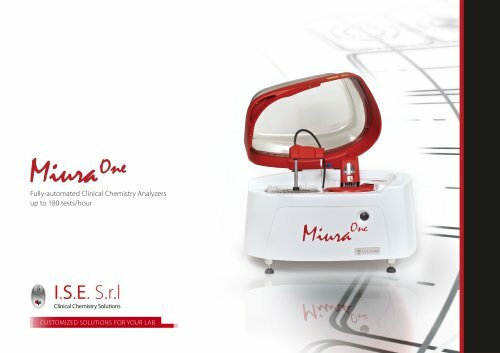 The Miura family wants to simplify your routine work. I.S.E. Group offers a complete CE marked reagent panel (mono or bi-reagent) ready to use. Positive identification of reagents gives the end user the assurance to work without compromises on quality. Twenty-eight parameters for enzymes and substrates, with application on serum, plasma and urine, based on the most advanced research in clinical chemistry following international recommendations (IFCC). Twenty-eight parameters for specific protein, with application on serum, plasma and urine, standardized with 5-point calibration curve.